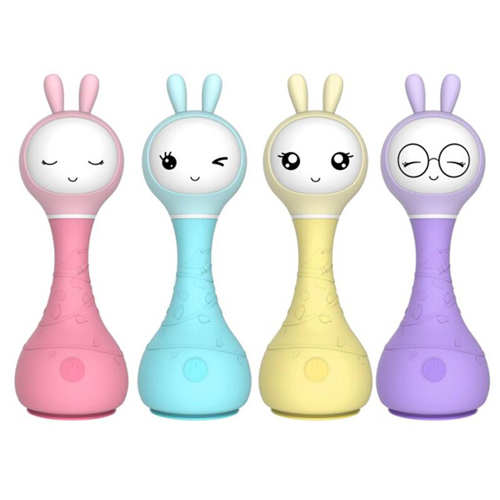 The Alilo Kids Digital Player G6+ (Honey Bunny)! It is different from G6 (Honey Bunny) for Bilingual and Bluetooth functions. As cuddly as a plush toy, this cute little rabbit is the perfect companion for the kids. 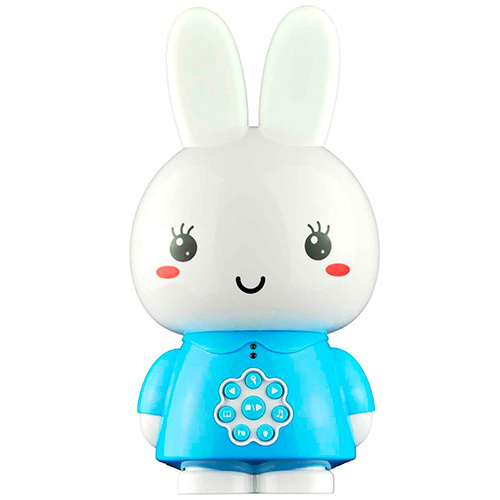 A multi-functional digital player that is specially designed for children, the G6+ Honey Bunny can be used as early educational assistant (through the playback of stories, songs and poems) and a toy. Safe with no sharp edges, soft silicon ears and a drop-resistant body means this digital player can be directly handled by the children compared to other digital devices. 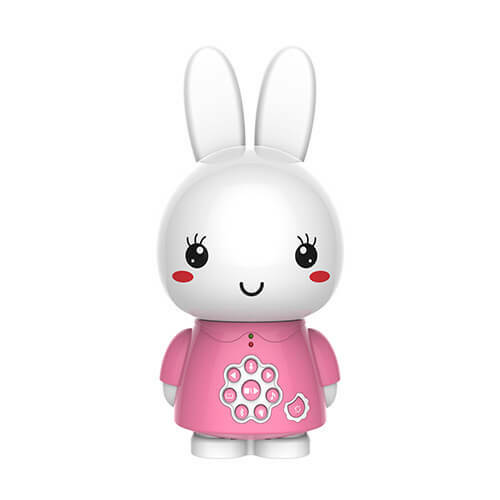 The Alilo Kids Digital Player G6 (Honey Bunny)! As cuddly as a plush toy, this cute little rabbit is the perfect companion for the kids. 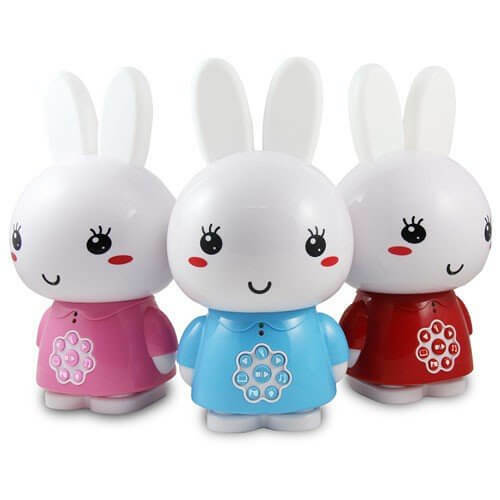 A multi-functional digital player that is specially designed for children, the G6 Honey Bunny can be used as early educational assistant (through the playback of stories, songs and poems) and a toy. Safe with no sharp edges, soft silicon ears and a drop-resistant body means this digital player can be directly handled by the children compared to other digital devices. The Alilo – Kids Digital Player G7 (Big Bunny)! As cuddly as a plush toy, this cute little rabbit is the perfect companion for the kids. 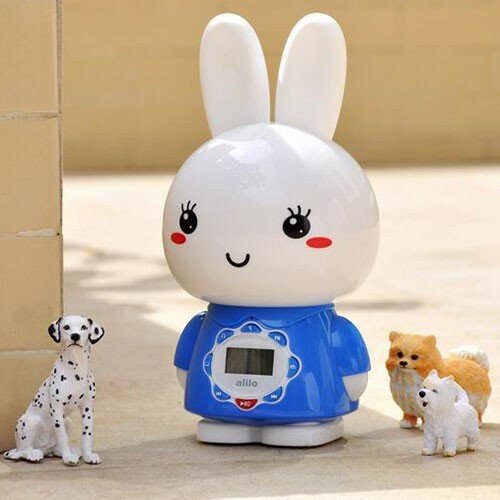 A multi-functional digital player that is specially designed for children, the G7 Big Bunny can be used as early educational assistant (through the playback of stories, songs and poems), a toy and even a night light. Safe with no sharp edges, soft silicon ears and a drop-resistant body means this digital player can be directly handled by the children compared to other digital devices. What makes the Alilo Smarty really clever though is its ability to identify up to 9 different colours! Alilo Smarty is in-built with a rechargable battery making it both environmentally friendly and economical as well.